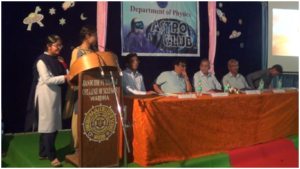 Astro Club is the club for incubating astronomical knowledge to the students who are interested to know what’s happening in the universe which is visible to known source of observatory. It is the initiative of Department of Physics, J. B. College of Science in the academic session 2017-18. 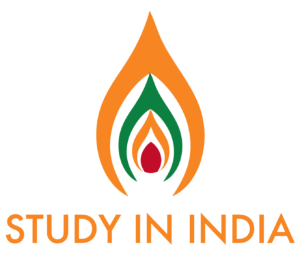 The objective is to inspire students and others to know more about the world around the earth. Also, it is an effort to make social awareness about the facts and finding of the astronomy. Students, alumnae, staff of J. B. College of Science are eligible to join astro club. The life time membership free is as follow. Life time membership certificate will be given to each and every enrolled participant. Out of the registered members 7 members (SAPTRUSHI) are selected as working committee members of Astro Club (Current Students Only). They will be categorized as follow. Committee members will be functional for one academic session. Along with this a faculty members as follow will part of working committee. All work related to development, maintenance and club activity will be coordinated by the above 7+1 committee members. Apart from this, around 20 volunteers will be selected time to time for various activities. The Astro Club was inaugurated by the hands of Dr. M. Y. Apte, Retd. Prof., SFS College, Nagpur on 12th August 2017. He is a well-known Astrophysicist of the Vidarbha Region. An essay competition was organized and students have been asked to submit the essay on “Our Universe and We” on or before 19 august 2017. Poster competition on “Universe beyond solar system” was organized on Saturday, 23rd September 2017, at 1:45 pm. The poster competition was followed by Guest Lecture by Prof. Kishor Wankhede. He had delivered lecture on “Astronomical Reflector Telescope: Construction, Working and Applications”. Participated in “AHIMSA RALLY” on 2nd October 2017. The 8” diameter telescope was fabricated indigenously by first year Astro club members Aniket Nagrale, Kartik Gokhe, Shubham Mukhati, Urvi Gupta, Shweta Dahake, Roshan Chute, Payal Chafle, Chinmay Wagharkar and Abhijeet Chatur. Telescope making was guided by Dr. Sudhir Tiple and Shri. Kishor Wankhede, Retd, Lecturer, JBCS,Wardha. ASTRO CLUB One Day Educational Tour to Nagpur was scheduled on Sunday, 17th December 2017. The Students visited Raman Science Centre of Nagpur and explore the knowledge about astrophysics. A social awareness activity was performed along with sky observation at village “aashta”, Dist-Wardha on 12th January 2018. Here students of Astro Club performed a play on “Khagol Shastra: Gyan aani Agyan” to make them aware about the myths and superstition about Solar Eclipses. The act was followed by detail knowledge about Sky and Telescope. The program was concluded by sky observation. Astro Club, Department has organized “Chandra Darshan” an event to observe the total lunar eclipse of Super – blue – Blood moon on 31st December 2017 from 5:30 pm to 9:30 pm at J. B. College of Science campus. In all 3 telescopes were used for sky observations, out of which 2 were reflector of 8” & 6” diameter and 1 was refractor of 3” diameter. In order to have social awareness about eclipses, Astro Club students members performed a drama “ Khagol Shastra – Gnyan ani Agyan” . Also “FETE” was organized as a symbol to overcome superstitions.